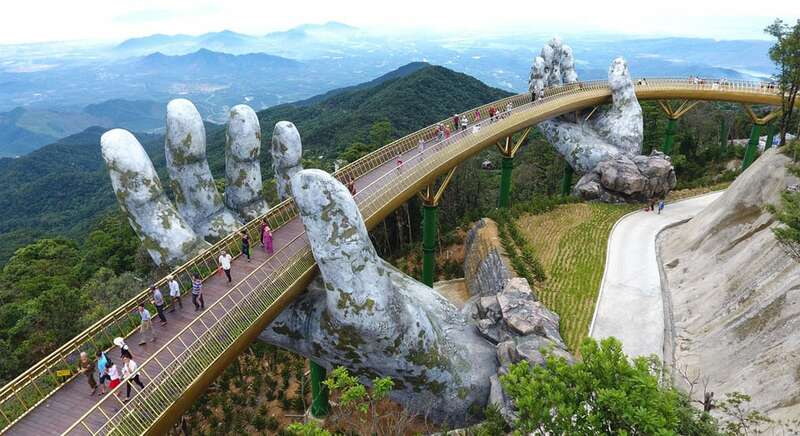 Ba Na Hills has been in the news a lot recently due to images of their latest attraction “The Golden Bridge” going viral! In this article, we’re going to provide you all the information you need in order to get the most out of all the things to do at Ba Na Hills. 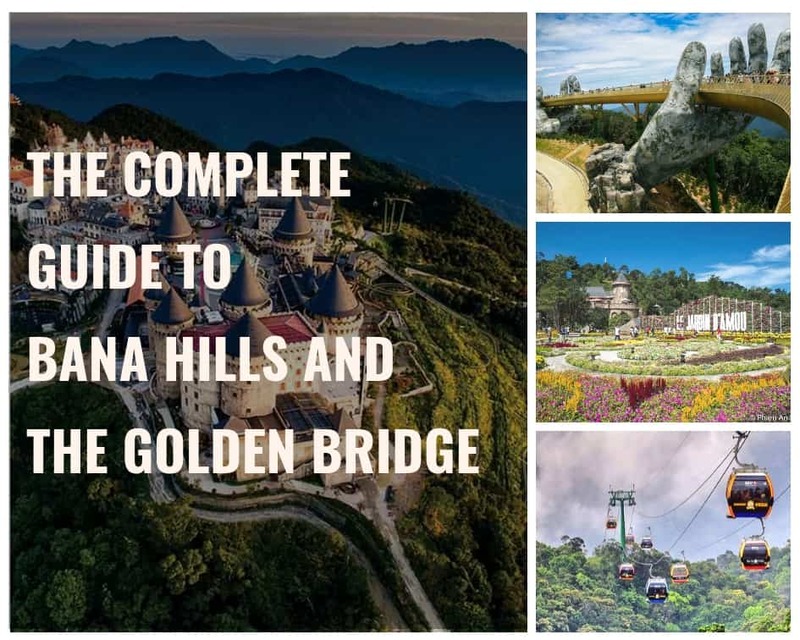 If you prefer watching to reading, play the video below to learn everything you need to know about Ba Na Hills! The peak tourist season is the summer so the park will be very crowded between April and August. If you don’t like crowds, we would recommend visiting during the low season between January and March, or during the winter months, from October to December. During the low season, we recommend you check the local Danang weather as it can get very blustery and might affect your photos. Ba Na Hill is a located 70km northwest of central Hoi An. It will take you about 2 hours to get to Ba Na Hills from Hoi An by car and about 45 minutes to get there from the center of Da Nang. If you’re staying in Hoi An, you have to first pass through Da Nang in order to get to Ba Na Hills. 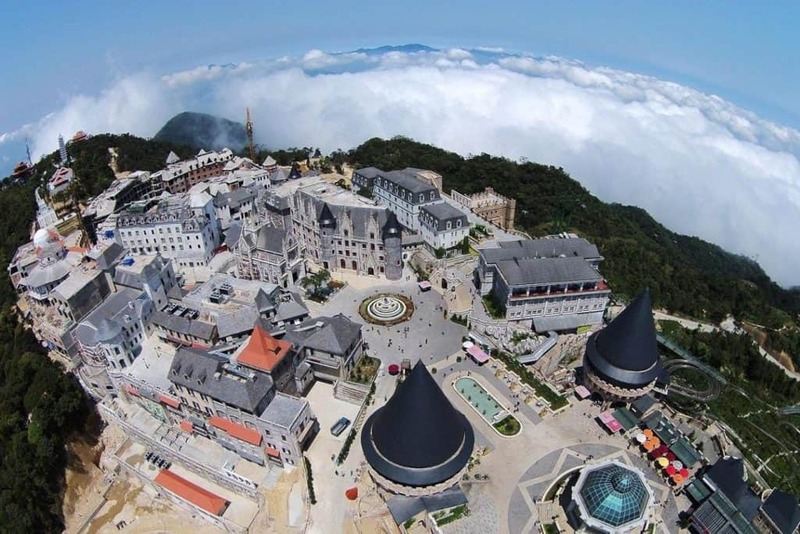 The easiest ways to go to Ba Na Hills is to hire a private car, taxi, or Grabcar. You can order a Grabcar by downloading the “Grab” app on your smartphone. The cheapest way to visit Ba Na Hills, aside from driving there on a motorbike is by buying a package with a tour company and traveling there in a group by bus. 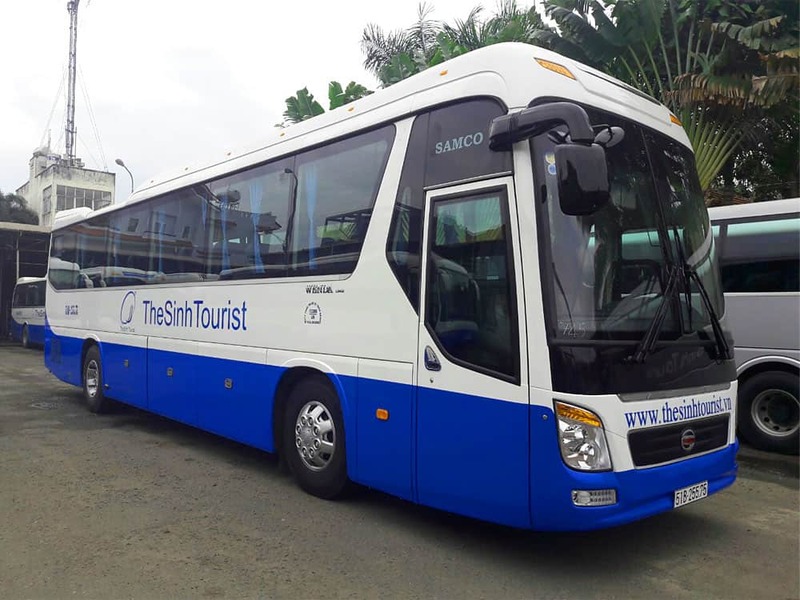 A couple of tour companies that sell packages to Ba Na Hills are The Sinh Tourist and Legend Travel. 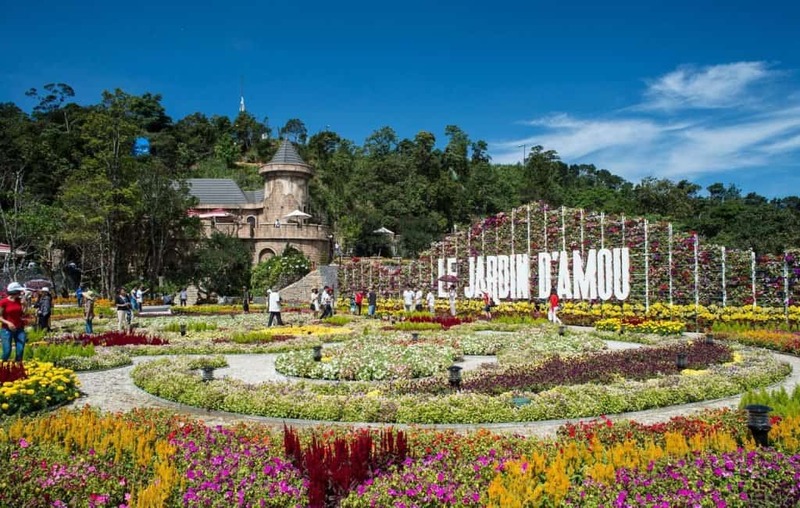 The prices of these packages range from 1.000.000 VND – 1.400.000 VND ($45-$60 USD), and includes entry tickets to the park, transport to Ba Na Hills by bus, a buffet lunch, an English speaking tour guide and travel insurance! Since the tickets to Ba Na Hills alone costs 750,000 VND, you’re only paying 300,000 VND to 700,000 VND extra for transport, lunch and the tour guide! The downside of these packages is that you are forced to follow the itinerary and schedule of the tour companies. If you don’t want to follow someone else’s schedule then traveling by car will offer you the most flexibility. If there are 4 or more people in your group it is also probably the cheapest and most comfortable way to get to Ba Na Hills. You can rent a 4-7 seat car or taxi for between 700.000 VND – 1.000.000 VND/ day ($31-$50 USD). The car will pick you up at your hotel and drop you off at Ba Na Hills at the time of your choosing and you can call the driver whenever you wish to leave. Most hotels should be able to arrange a private car or taxi for you. You can also order a Grabcar via the “Grab” app but it might cost you more than a private car/taxi which offer a pre-negotiated round trip price. Also the rate of Grabcars can fluctuate dramatically during times of high demand. Ba Na Hills opens from 7:30 AM to 9:30 PM. We recommend visiting between 9AM to 5PM as there are more interesting things to do during these times. There are many booths in front of the park that sells entry tickets. The price for adults is 750,000 VND ($33 USD); The price for children between 1-1.3 meters tall is 600,000 VND ($27). Entrance is free for children shorter than 1m. The price includes round trip rides on the cable car and entrance to most the attractions in the park. 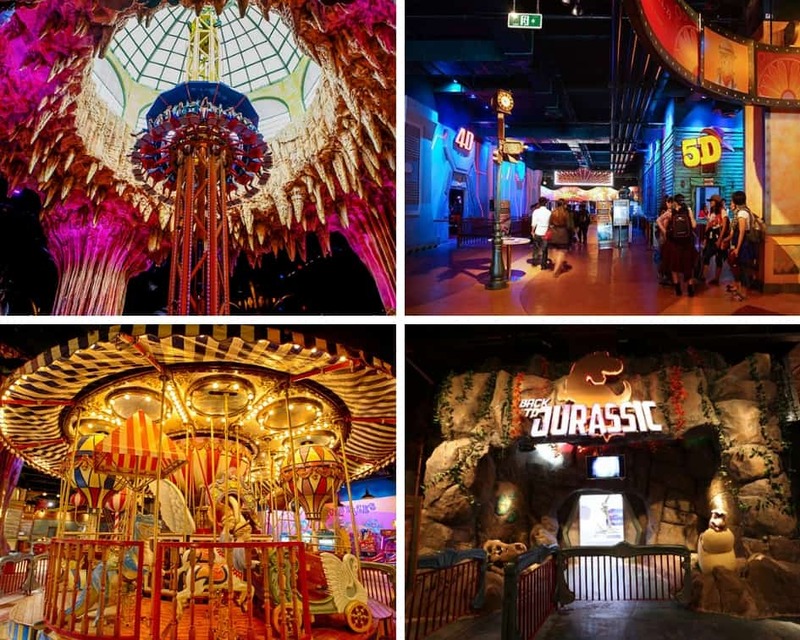 Please keep in mind that there is an additional fee to enter the wax museum and some games in Fantasy Park also cost extra. Ba Na Hills Cable Car Ride & Entrance! To get into the park, you will have to take a cable car. The Ba Na Hills cable car is the highest and longest cable car system in the world. It stretches 5,801 meters long and peaks at 1,368 meters high, which are both world records! The cable car system was built following European standards and offers a spectacular view of Da Nang and the surrounding forest. Please keep in mind that during the high season and most weekends, there will be long lines to get into the park so you may have to wait in line for 30 minutes to 1 hour before you get to the cable car. Things to eat at Ba Na Hills? There are a few restaurants in the park for you to choose from such as La Lavande, Doumer, and Brasserie; all of them offer extensive menus, along with different serving selections: set menu, barbecue, fast food, buffet, etc. Most visitors choose the buffet but if you are visiting with friends or family, we recommend choosing the set menu. If you want to dine with a great view of the French Village we recommend eating at a restaurant called Morin. 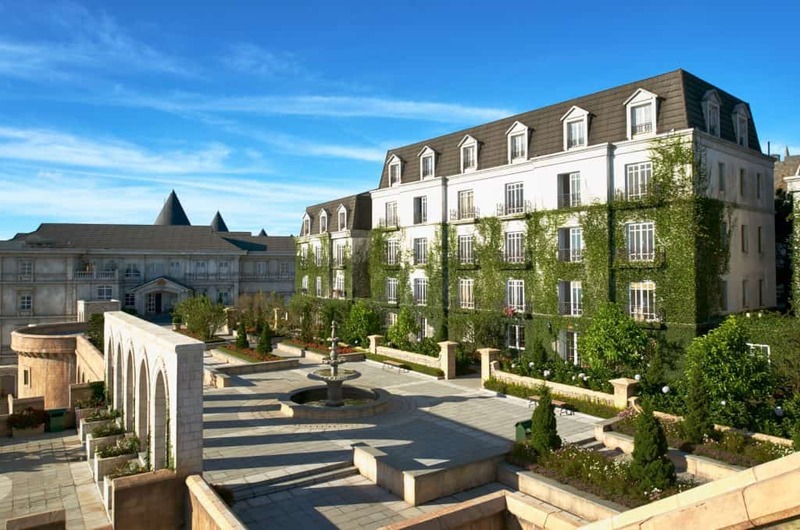 The majority of visitors to Ba Na Hills stay at hotels outside the park. However, if you think that 1 day a Ba Na Hills is not enough you can stay at the 4-star Mercure Ba Na Hills French Village Hotel. This lovely 4-star hotel offers all the elegance and style you would expect from a hotel in old France. Prices per night at this hotel range from 1-3 million VND for a double room. What is there to do in Ba Na Hills? It is described as a miniature “Europe” in the heart of Danang. You will experience the beautiful architecture of Renaissance Europe right in Vietnam with replicas of old churches, shops, eateries, and hotels,… inspired by real European buildings. So wear your nicest clothes and get yourself camera ready, you will have a ton of great photo opportunities! This wine cellar was constructed by the French in 1923 with the aim of preserving various types of fermented fruits. The Debay Wine Cellar now offers a large stocked bar with cocktails, light snacks, various grapes, and wine vintages. Before the wine is bottled, it is made and stored in oak barrels, which brings about a feeling of nostalgia. This beautifully decorated European-style garden is where you’ll find lots of visitors taking photos. Romantic, classic, elegant, colorful, and impressive – This flower garden is divided into 9 smaller ones, each with its own interesting story and unique architectural style. For visitors who want to find a spiritual place, you can visit this ancient Pagoda located on the top of Ba Na Mountain; 1,500 meters above sea level. This Pagoda is one of three Pagodas named Linh Ung in Da Nang, and definitely the highest of the three. The main attraction of this particular pagoda is a beautiful, white 27 meter tall Buddha statue. Along with those activities, you can also try the very first Funicular in Vietnam, ride the Alpine Coaster, visit the Wax Museum, and immerse yourself in the cool Mo stream nearby,. The Golden Bridge, which just opened in June, has instantly become the most popular tourist attraction in Da Nang. Located 1000 meters above sea level the Golden Bridge is 150 meters long and is supported by two massive stone hands. Described as, “giant hands of gods, pulling a strip of gold out of the land.” Many travelers have likened the bridge to something from Game Of Thrones and Lord Of The Rings. On foggy days, The Golden Bridge will make you feel like you are walking through heaven surrounded by clouds. It’s simply an amazing place to enjoy the majestic beauty of nature and take beautiful photos. Now that you know everything you need to know about Ba Na Hills, here is some additional advice to ensure you have the most fun time during your visit! First of all: please keep in mind that Ba Na Hills does not allow visitors to bring food into the park, so don’t pack any food when you come. You won’t go hungry however as there are a lot of food kiosks and restaurants all over the park! Guests are allowed to bring drinks, so we recommend bringing some drinks to keep you hydrated. Secondly, remember to wear sunscreen during the hot season (April to August) and bring your jacket in winter time (October to December) when temperatures can drop down to 13-15 degrees Celsius. If you want to immerse yourself in the cool Mo stream, you can also bring your swimsuit. Finally, although the locals all seem to love Ba Na Hills, with its mixture of exotic European and Asian architecture, most travelers seem to either love or hate the resort. When you visit Ba Na Hills, you’ll likely see thousands of Vietnamese people taking photos and selfies everywhere! We hoped you find this blog post about Ba Na Hills helpful and you will have the most fun during your visit! If you’re looking for something unique to do while in Hoi An, you might consider trying one of XO Tours’ super fun Hoi An day tours. You can learn more about our walking Hoi An food tour and our Hoi An Scooter Tour by visiting our Hoi An website.